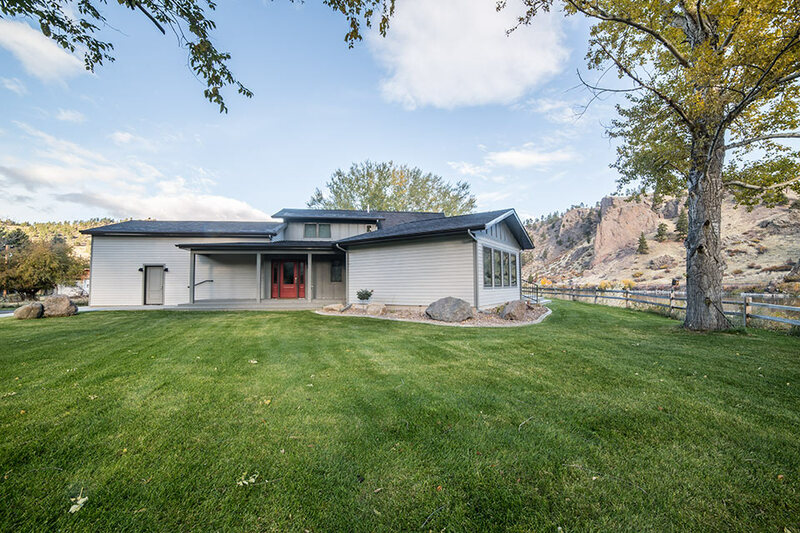 Private Residence III - Diamond Construction, Inc. 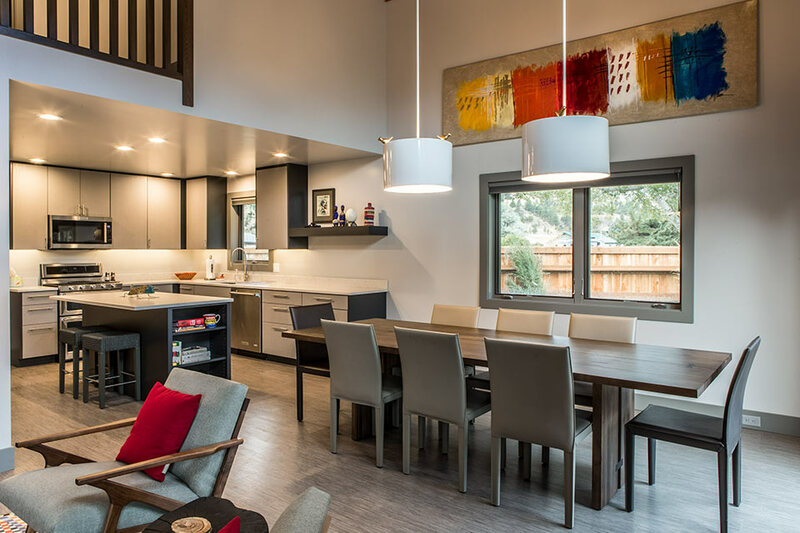 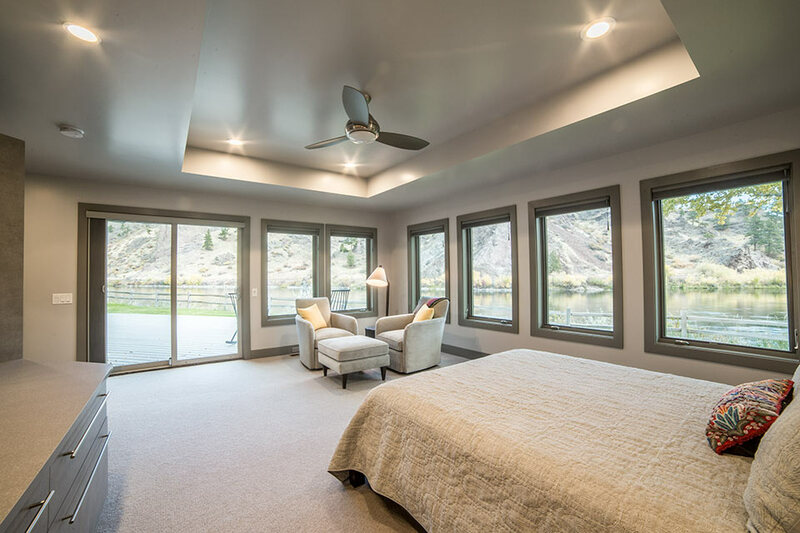 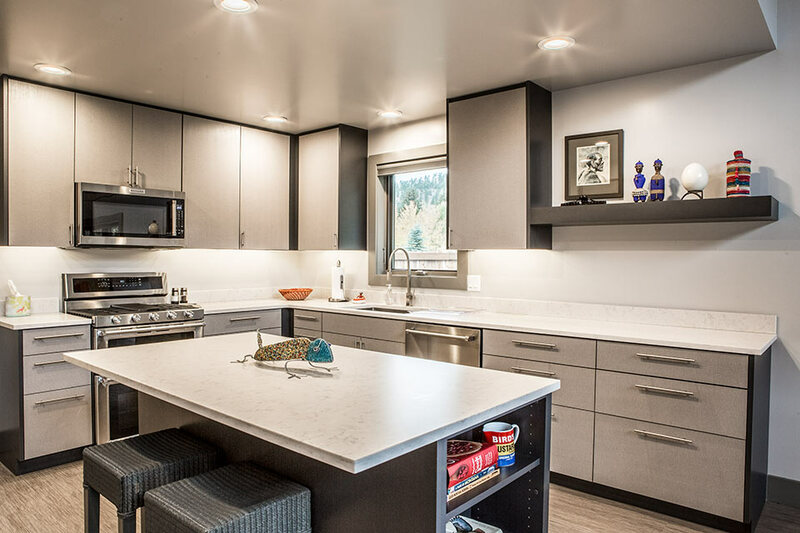 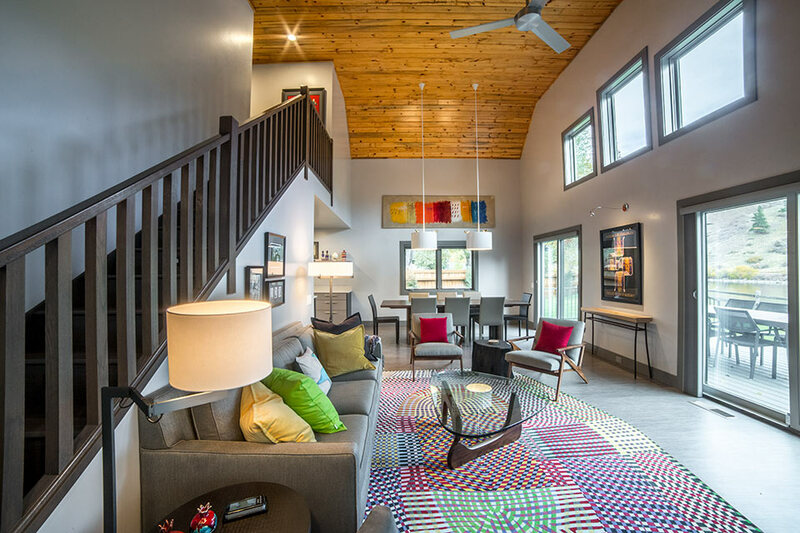 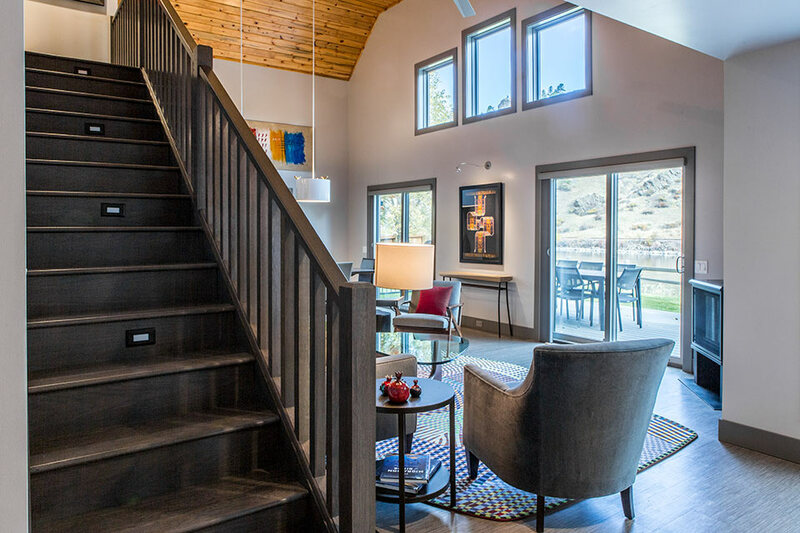 This modern river home was a complete remodel project with the addition of a single story master suite. 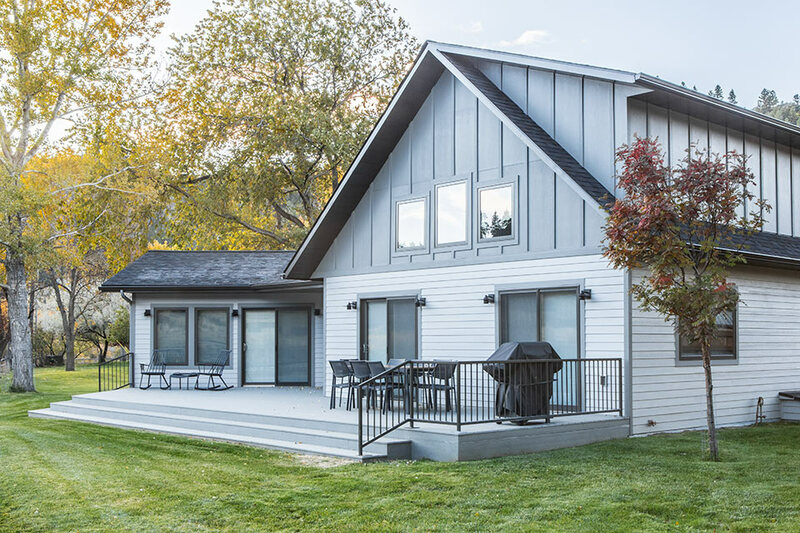 The exterior received new siding, additional windows, new maintenance free decks, asphalt driveway and concrete sidewalks. 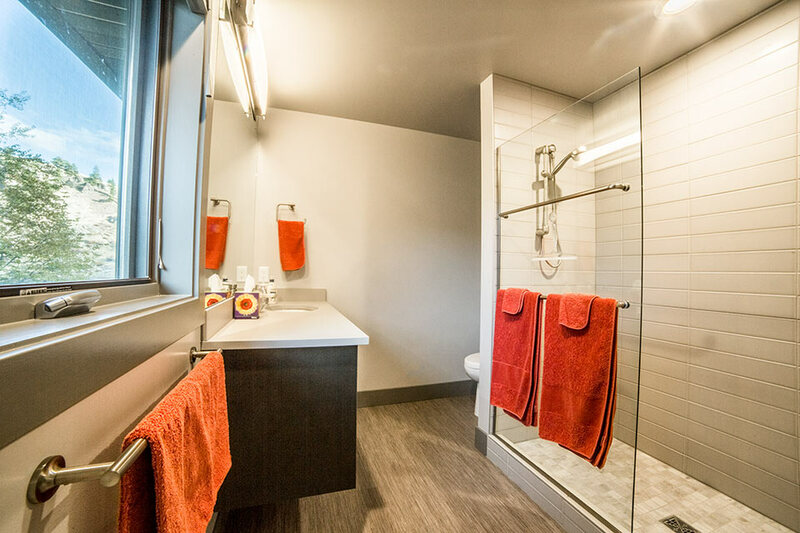 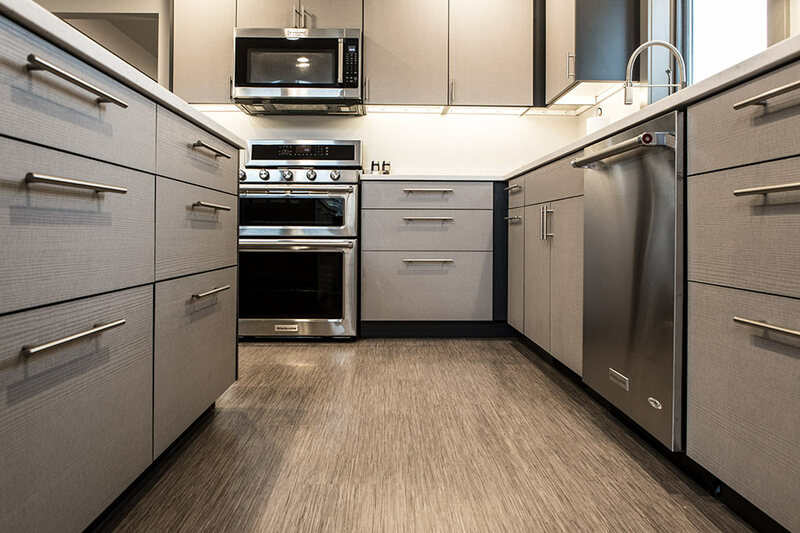 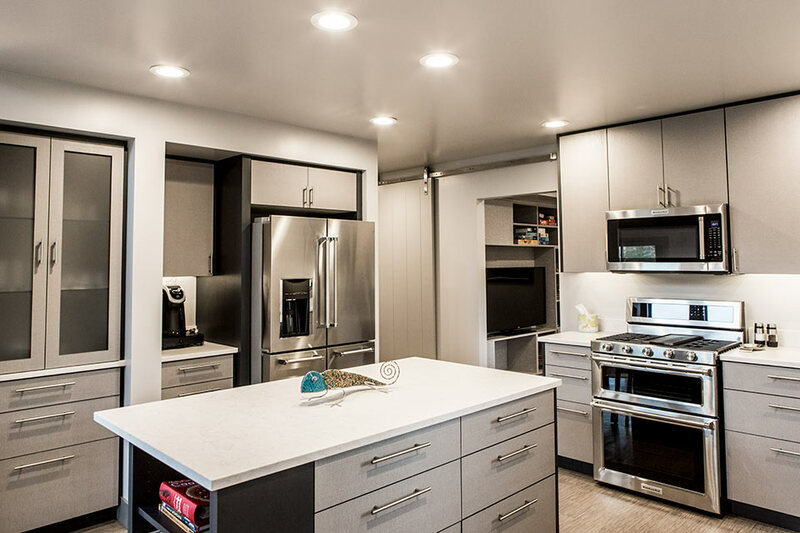 The interior received all new finishes, heating and cooling system, electrical and plumbing fixtures and a refreshed layout. 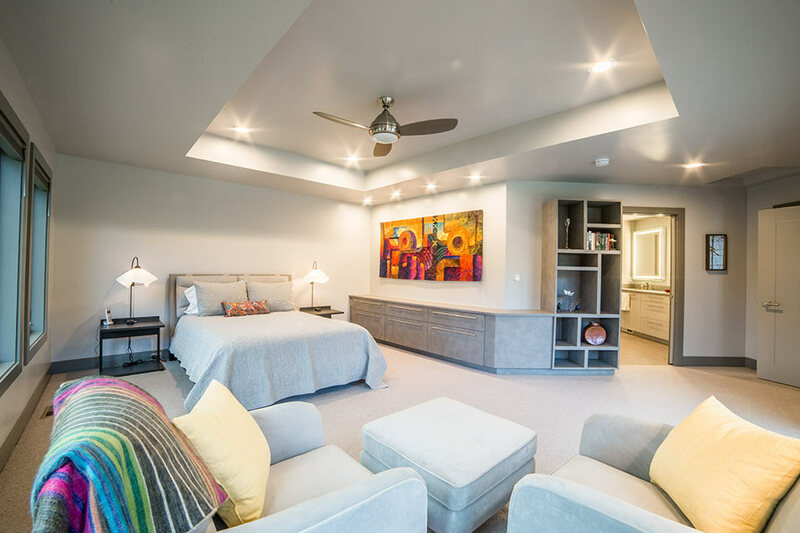 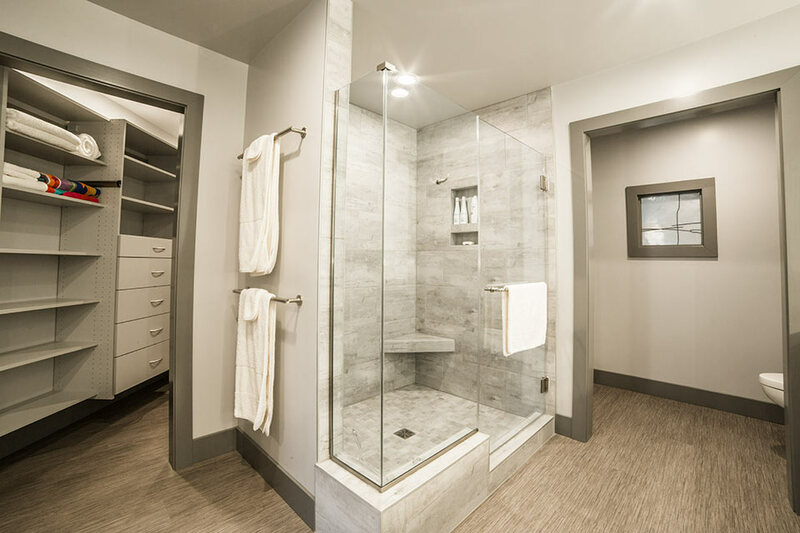 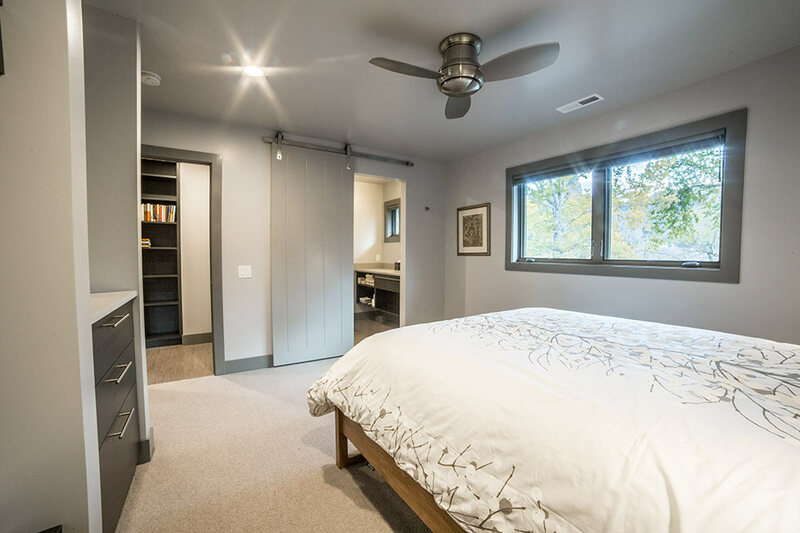 Custom cabinetry and built-ins were incorporated throughout the space .The master suite addition added a full bathroom, walk-in closet, and a bedroom with abundant natural light completes this space. 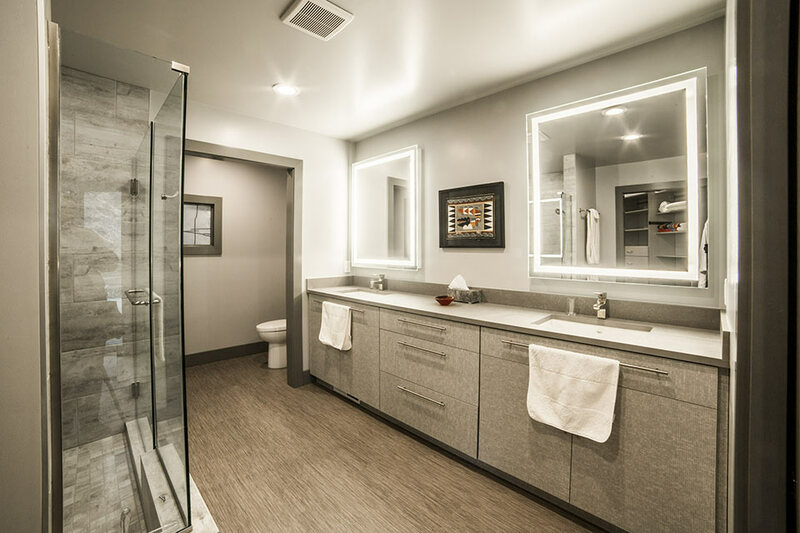 This was the second home we built/remodeled for this client.